Miss last week’s Skyforge announcements? No problem! Here’s a quick recap of everything we’ve recently revealed, including a brand new developer playthrough, two beta key contests and the opportunity to vote for Skyforge as the most anticipated MMO of 2015! As a reminder, don't forget to check out the latest concept art from the Skyforge team and fan-art from members of the community! 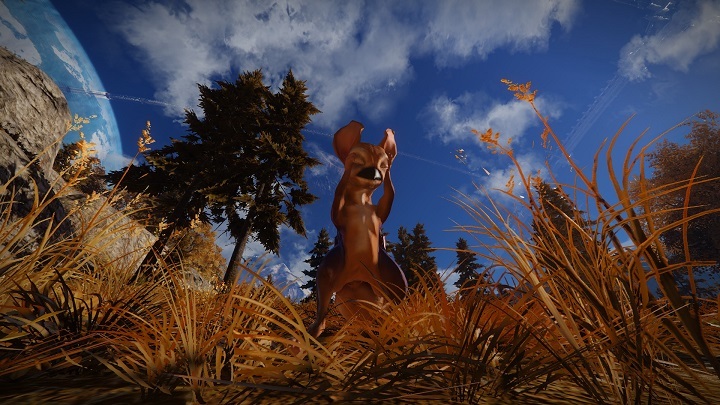 In an effort to involve the community in Skyforge’s ongoing development, we’re inviting you to help name one of Skyforges more…cuddly creatures. Participate for a chance to win one of several beta keys and have your suggestion become the critter’s official name! To celebrate the upcoming holidays, the Skyforge team is giving out 500 beta keys to lucky participants through our special Facebook page! To qualify, all you need to do is like our Facebook page and submit your Skyforge account email! Show your support for Skyforge by voting for the MMO in two award polls hosted by MMOBomb and Massively! By doing so, you will help secure Skyforge’s rightful place as the most anticipated MMO of 2015! Aelion's Treasure - Week Three Leaderboard Winners Announced! Week three of the Skyforge Aelion’s Trasure mini-game has just concluded and we now have our third batch of leaderboard winners and two lucky video card recipients! Find out who won! Bursting forth from the ground, this mechanical hydra is capable of tunneling beneath its victims before emerging to devour them. This week's mesmerizing fan-art was brought to us by community member Neveri!